“the most prosperous of all, in the world he had seen”. All this is mentioned in his bestseller book of 1300s, “Travels of Marco Polo” by Rusticiano. Everyone is aware of Columbus looking for India. The glory and prosperity of India spread all over the world during this period was the source of attraction for many travellers. He went westwards, from Spain, in 1492 to circumnavigate the globe, to look for India.The land he found in the west, The Americas, he thought was a part of India and hence called the locals as Red Indians. Vasco da Gama, from Portugal, came eastwards, in 1498, searching for India. Very interesting….How Vasco da Gama reached India? He reached Cape of Good Hope by sailing along the west coast of Africa, keeping sight of land, for fear of getting lost. From his own account, he then reached Malabar on the West coast of India only after being escorted in mid seas, by Indian ships. He further writes that while he had brought the largest, then known ship in Portugal, the Indian ships, which had come for trade to Cape of Good Hope, the southern coast of Africa, were 10 times as large as his own ship. The making of these large ships prove that the Indian Shipping Industry was highly developed and formed the backbone of Indian trade then. Unfortunately, the British destroyed Indian ship building industry to make way for the modern ships of the English, for their shipping industry and economy to prosper. He was a Scottish statesman and historian, associated with the government of British India, who later became the Governor of Bombay. He was a French traveller and pioneer of trade with India, who visited India six times between 1640 – 1667. “The knowledge I have acquired about Bengal in two visits inclines me to believe that it is richer than Egypt. It exports in abundance cotton and silks, rice, sugar, butter. It produces amply for its own consumption of wheat, vegetables, grains, fowls, ducks and geese. It has immense herds of pigs and flocks of sheep and goats. Fish of every kind it has in profusion. "India has natural abundance and fertility of soil. India has no mines of gold or silver. There has been a constant influx of gold and silver in exchange for the natural productions of the country. It has been a regular and uninterrupted accumulation. Conquest and plunder are the only expedients to bring back into circulation this super abundant wealth." 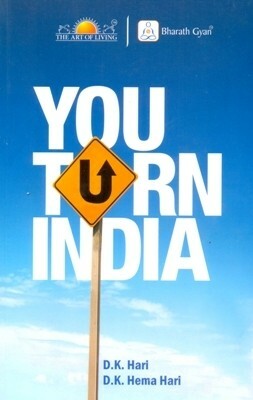 India has been plundered many a times over, in the last 1000 years. What could have been the secret to this prosperity of India which kept returning and keeps returning after every wave of plunder? The onslaughts from Near West such as that of Mohamad of Ghauri, Mohamad of Ghazni, around 1000 CE and that by Nadir Shah around 17000 CE. The drain of Indian wealth, primarily by the East India Company of British between 1600 CE to 1947 CE. The looting of Indian money by Indians themselves from 1950 CE till date. And which needs to be stopped at the earliest!